During recent operations around ­Marjah, Afghan troops used small ­ScanEagle drones to identify targets, which were then destroyed by Afghan A-29 Super Tucano turboprop aircraft, said Marine Maj. Kendra Motz, a spokeswoman for Task Force Southwest. The highly trained Afghan controllers are “making a tangible impact on the battlespace,” said Marine Capt. Robert Walters, an air adviser with Task Force Southwest. It was the first time that Afghan Tactical Air Controllers called in airstrikes on targets that were not stationary or preplanned, Motz told Marine Corps Times. By using drones and coordinating airstrikes with its own aircraft, the Afghan military outmaneuvered the enemy and now controls Marjah’s district center. 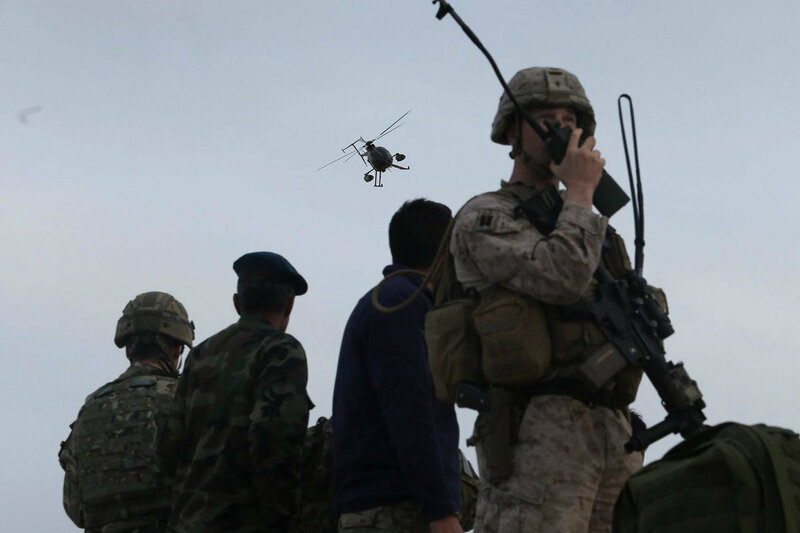 “With weeks of planning, training and integrating prior to [the Marjah operation], their close-air support is causing the Taliban to lose ground while the [Afghan National Defense and Security Forces] take that ground,” Walters said in a news release. The Afghans’ successes comes after the Marine Corps expanded training for Afghan Tactical Air Controllers from three to eight weeks, Motz said. The curriculum focuses on the ­close-air attack process, casualty evacuation, map reading and other skills that make Afghans more adept at destroying targets and getting wounded troops to safety. The Afghan security forces have struggled since the U.S. declared an end to combat operations at the end of 2014. Without U.S. airpower to support Afghan security forces, the Taliban and ISIS overran nearly half of the country. Now the U.S. wants to boost the Afghan air force as part of a wider effort to prepare for the traditional fighting season, which begins in spring.